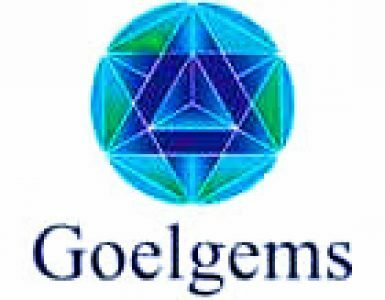 By using the website www.goelgems.com, you are entering into a legal contract between you as a user and Goel Gems as a seller. Using this website requires you to abide by certain rules/ regulations/ limitations/ restrictions and so if you think you cannot follow any of these, you are advised not to use the website. I.1. Order should be of US$ 250 minimum. I.2. Placing an order is simply your expression of consent towards buying product(s) from our site. Once the order is received, all your details will be verified. Company reserves the right to cancel the order at any given point of time if the verification details are not confirmed satisfactorily. I.3. We provide the facility of buying single gemstone also. I.4. Adding items to the cart does not confirm your sale; it will be reserved for you only when you choose to check out. Gemstones will remain in the cart only till the time they are available in stock. We recommend that you register yourself with us while making a purchase; although the process is kept optional for your convenience. As a registered user, you are entitled to visit your account area and get the updated order statuses and also get access to newsletters, offers and promotions that are designed while keeping your benefits in mind. II.1. It is advisable that you do not share or disclose your password to anybody. Any consequence arising out of your action of losing or sharing your password with third party will solely be your responsibility. Company will not be liable to bear the losses arising out of any such act. II.2. We request you to fill correct details about yourself at the time of registration. Any situation, such as delay in delivery of order or return of consignment, arising out of incorrect mentioning of postal address, zip codes etc by you will not be the responsibility of the company. II.3. All the images, text, banners, links comprising the ‘content’ of the website are not to be altered, shared, reproduced, added, deleted, modified or used by the account holder for personal or professional use in any form without the written permission of the website owners. Any activity of such sorts performed by the user and the consequences arising out of it will be addressed under the copyright act and the defaulter will be liable to face the resultant legal action. III.1. All the products offered to the customers are exactly the same as they appear on the website. III.2. Carat weight mentioned will be the average across all the items included in certain product category. Minimum weight guarantee will be displayed along with the products that are sold single, in pairs, lots or parcels. III.3. All our gemstones are GJEPC certified and necessary authenticity certifications will be provided to the customers along with each purchase made. III.4. Products once sold will not be returned unless there is any sort of damage or fault detected in them at the time of receiving the parcel. All defective items will be accepted for returns only till 15 natural days from the date of receiving the order. For detailed returns policy, please refer to our returns policy section. III.5. In case of non-availability of certain product, customer may be given the option of choosing for its alternatives available with us. We strive for the ultimate customer experience and ensure that the customers get the most hassle-free environment for making a gemstone purchase online. Our delivery policy is in strict accordance with this endeavour of ours. IV.1. A realistic delivery period will be chosen for the product depending upon the location where you live. Company will not be responsible for any delay caused due to unforeseen, natural as well as unnatural calamities that are totally beyond the control of human. IV.2. The product will be delivered only to the mailing address mentioned at the time of checking out. Any alteration in the mailing address, after the order is out for delivery, will not entertained. IV.3. All the products will be covered with transit insurance during the time of travel and reaching your place. We deal in the products of excellent quality and so make use of the best quality packaging material for ensuring enhanced safety of our items. All the products are enclosed in sealed, transparent, tamper proof packets covered additionally with protective box. We also provide gift box details of which are mentioned under the product category ‘ Accessories’. VI.1. Order should be cancelled within 15 natural days of placing it on our website. VI.2. Once the order reaches your mailing address, look through period of 15 days will be applicable for cancelling it. VI.3. Product packaging should not be tampered with and the parcel needs to be sent as received for claiming the full refund barring few shipping conditions. VI.4. Traceable postal service or courier service pre-paid by you should be used for returning the parcel to us. VI.5. Order made under free shipping policy will be refunded excluding the shipping charges. Return shipping will also be borne by the customer. Any request to cancel the order after 15 days of making the purchase shall not be entertained and the order completed will be considered as final sale. All the terms and conditions mentioned above are subject to change as per the operational requirements of the company. Our company holds the right to add, remove or modify these clauses as and when the need arises. Customers will be informed about the changes through notifications in timely manner about the same. Subscribe to Special Offers emails!